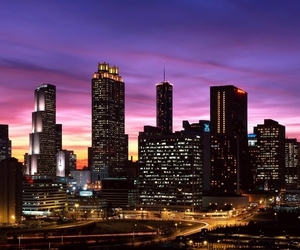 Atlanta is the fastest-growing market for actors in the United States. Get advice on how to present yourself in the Atlanta market, find the right auditions and casting notices, get hired and thrive as an actor in Atlanta. Atlanta won’t be giving up its title of Cultural Capital of the South anytime soon. Here are 5 tips to break into the piping hot Atlanta acting scene. Atlanta actors wanted! Check out some of the hottest auditions and casting notices for Atlanta posted on Backstage. Read more. As is the case with disseminating any sort of news these days, getting the word out about casting opportunities can often be easier when using Twitter. Read more. Atlanta, Ga., is widely known for its blockbuster film and TV productions—but it’s also home to an exceptional number of theaters. Here is a list of several theaters and how they go about casting for each season. Read more. With a made-for-showbiz name like Rhavynn Drummer, you might expect this casting director to be the one in front of the camera. Instead, she's responsible for finding actors for Tyler Perry Studios (TPS) and indie projects in the ATL. Read more. Talent agent Alexander White had success for several years with a noted agency before starting the Alexander White Agency in 2013. Read more. Actor Carrie Anne Hunt wears a lot of hats. When she’s not booking roles on large-budget film and TV projects such as “Magic Mike XXL” and “Drop Dead Diva.” Get her advice on how to make it in A-town. Read more. The Georgia state Film and TV production website is a great resource to learn about the entertainment industry in Atlanta: Visit here. 10 Famous Actors From Atlanta! Atlanta is one of the hottest emerging markets in the film and television industry, and an amazing place for up-and-comers to develop their craft and seek out big breaks. Read more.